Health gurus are going “bananas” for bananas! When any creature naturally relies on or gravitates toward a specific food, you can be sure Mother Nature has a hand in it. And monkeys and other primates, and their love for bananas, is no exception. So, why do primates actually love their bananas so much? Well, it’s safe to say they don’t likely convene daily to discuss the nutritional value of this common fruit with their fellow primates. It’s more likely, in fact, probable, that they simply just know—innately—that their bodies need them. 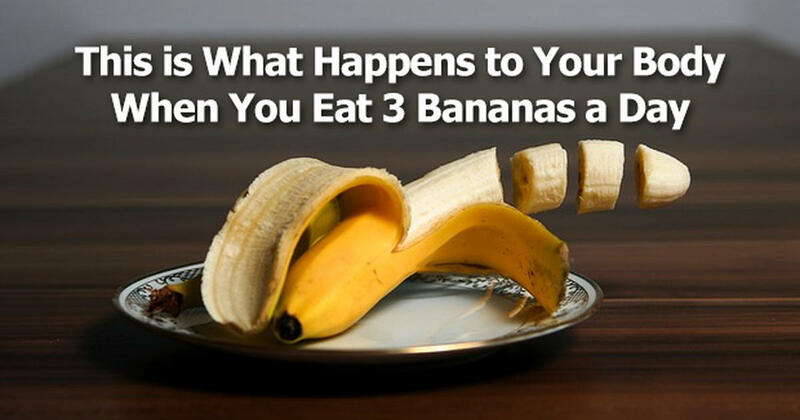 And just like our primate cousins, humans can also gain a lot from simply eating three bananas a day, according to a study published in the Journal of the American College of Cardiology. (1) That’s right….eat 3 bananas per day and the nutrients and effects on your body are tremendously wonderful. Apparently, researchers from both England and Italy, found that eating one banana for breakfast, one for lunch and then another one at dinner actually provides enough potassium to reduce the risk of developing a blood clot in your brain, which can ultimately lead to a stroke—and by as much as 21 per cent! These results were derived from the pooled analysis of 11 studies that date back as far as the mid-60s and reveal that approximately 1,600 mg of daily potassium intake is enough to lower your risk of stroke. When you consider that the average banana contains approximately 500 milligrams of potassium that means you only have to eat about three average size bananas to obtain enough potassium to get these life-saving results. The dietary fiber in bananas has been shown to help reduce inflammation in your bowels because it helps eliminate waste and toxins from your body, which then generally helps to keep your arteries clean and clear from dangerous plague build-up that can cause cardiovascular issues. (3,4) That’s a lot of kick from just be eating something you probably already love! But reducing the risk of strokes is not the only thing this yellow fruit is good for. Here are 10 pretty impressive reasons you should start adding bananas to your daily diet right now. Studies show that if you eat those three stroke-reducing bananas in one sitting prior to your workout, they will give you the extra energy boost you need to make it through a strenuous 90-minute workout, with energy to spare! Bananas are an excellent food to help replenish your glucose reserves, giving your body the energy it needs to rebuild muscle. 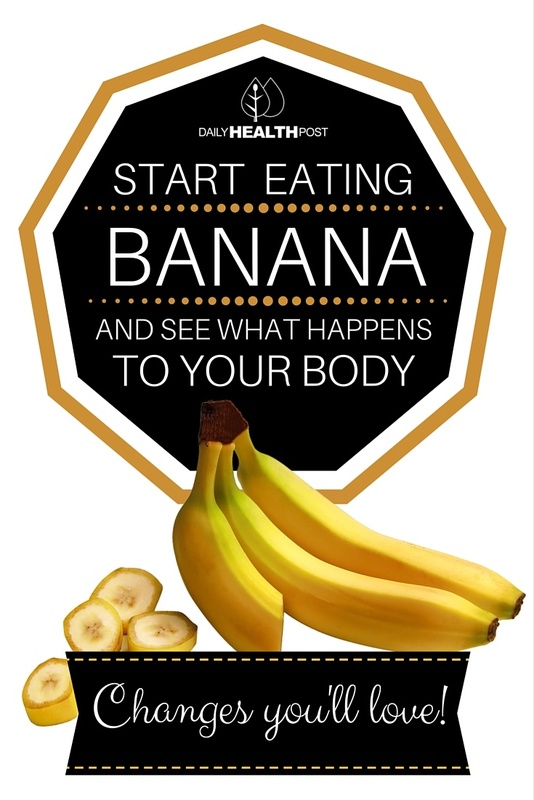 So, instead of relying on those glucose-packed sports drinks or snacks, try eating a banana instead.